After the war society was divided into 5 factions, it was believed that this would prevent another war. The factions are: Candor, Abnegation, Dauntless, Amity and Erudite. Each has specific responsibilities, Erudite are the scientists, inventors and doctors; Amity provide food for the rest of the faction; Dauntless are the security forces; Abnegation are the rulers and Candor, I can’t remember what they did, but they are honest. The way each faction conducts themselves and appear identify which faction they belong to. Adults marry in their faction and children grow up as whatever faction their parents belong to until they are 16, on an appointed day, all the 16-year-olds must select which faction they want to belong to. There are those who are factionless, sort of like homeless people, and these are cared for by the Abnegation. The story is told from the viewpoint of Beatrice Prior, who grew up in Abnegation, starting with the day of her aptitude test, a test which is supposed to ‘tell’ her which faction she is suitable for. It continues through her choosing and then the initiation process. Although classifying people into different factions was believed to be a way to prevent war, we see there is unrest and antagonism between different factions and within factions. There is a conflict threatening. Beatrice has renamed herself Tris and has a secret that could help her survive the conflict but at the same time is a target. It’s a secret that she learns she shares with others. The characters in Divergent were well created, I formed opinions of them, who I liked and so one, and the emotions they displayed were genuine. The plot is solid and fast paced, there are not to many twists and turns or surprises, those that come are not unbelievable. The only problem is that since the story is told from Tris’s view we have to rely on what others tell her about events she is not witness to. Overall I enjoyed this book and recommend it. 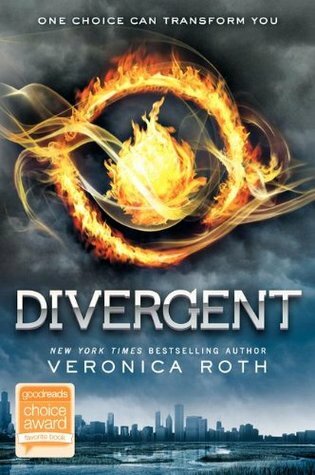 Posted by Belleza on August 29, 2013 in 2013, Fiction, Suspense, Thriller, YA Fiction and tagged Divergent Series, Dystopian, eBooks, Library Book, Liked it ♥♡, Post-apocalyptic, Recommended to read, Veronica Roth.